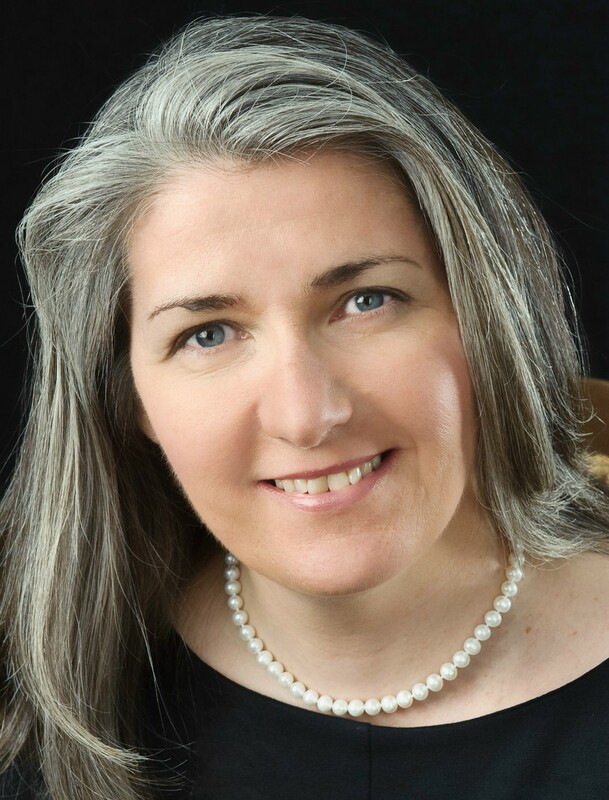 Who is Barbara Graham, you ask? Well, read on. At one point, James Dean was the leading choice to play Rocky Graziano, but when he unexpectedly and violently died in a car crash on September 30, 1955 the part was given to Paul Newman. Still living in the shadows of Marlon Brando, and whose film debut in “The Silver Chalice” almost ruined his career before it even got off the ground, this role would erase the bad taste left by his failed attempt in the religious drama. 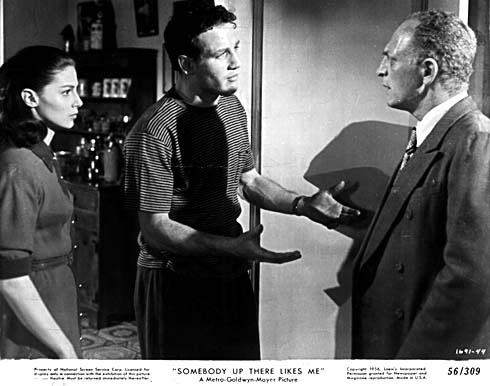 Based on an autobiography written by Rocky Graziano and journalist Rowland Barber, with a screenplay by Ernest Lehman, the film reflects a fairly accurate portrayal of Graziano’s life as a street punk with a bad attitude and a history of petty crimes. After spending time in a reform school, followed by some prison time, Rocky is released only to be drafted into the Army during World War II which results in a year in Leavenworth after he slugs an Officer and deserts. While on the run, Rocky changed his last name from Barbella to Graziano to avoid detection. Eventually caught he was dishonorably discharged. Finally, after a life of violent and anti-social behavior, Rocky finds his redemption in the ring. We are first introduced to Rocky as a young kid sparring with his failed alcoholic father Nick (Harold J. Stone) for the entertainment of his dad’s friends. When one friend makes a comment about Nick being a loser, old pop slugs young Rocky in the jaw. We next see young Rocky, expressing his anti-social behavior by throwing a rock threw a store window displaying a sign about gifts for father’s day. Two Irish police officers grab the young kid but Rocky manages to escape running away. As the two police officers look on, one says, “Let him go, there goes another grease ball on his way. Ten years from now he’ll be in the chair at Sing Sing.” A quick cut to about 10 years or so later and Rocky (now Paul Newman) is still running from the law. Hot headed, anti-social, quick with his fists (there are shades of DeNiro’s Jake LaMotta here), Rocky’s life leads him to a reformatory and eventually the federal prison. In Leavenworth, thanks to the Captain of the boxing team who sees potential in the street fighter, Rocky begins to channel his built-in hate to good use in the ring. After his release from Leavenworth, he reluctantly learns to box instead of just brawl. 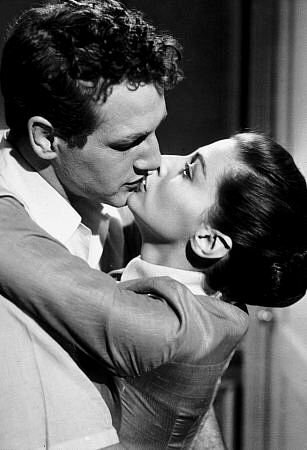 Romance enters with the introduction of Norma (Pier Angeli), a nice Jewish girl and a friend of Rocky’s sister. She is shy, attractive and sees something beneath Rocky’s uncouth exterior. He’s clumsy around girls but they fall in love and marry. 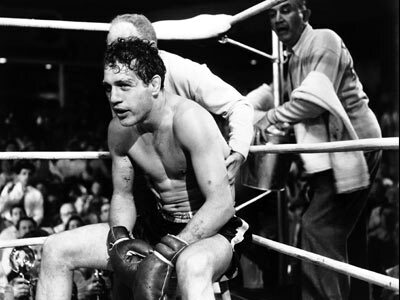 Rocky’s career as a boxer shoots skyward, undefeated until he fights for the middleweight championship at Yankee Stadium and loses to Tony Zale. After the fight, Rocky’s past begins to catch up with him. Frankie Peppo (Robert Loggia), a small time hood he met in prison comes back into his life with a plan to blackmail Rocky, now a local hero, with his criminal past. Peppo’s plan is for Rocky to throw a fight, prior to his rematch with Tony Zale, the hood “promising” not to expose Rocky’s past history. Refusing to throw the fight, Rocky fakes a back injury to get out of the match but that results in him facing an investigation with the New York State Boxing Commission who decide to take away his license to box since he will not cooperate in naming the hoods who were blackmailing him. Without his license, the championship rematch with Zale is off and Rocky’s career, at least in New York is over. Despite Rocky’s attempt to ease out of his predicament, the hoods still release to the media news that Rocky was dishonorably discharged during the war. Deprived of his livelihood, publicly disgraced Rocky feels his life has spiraled out of control. However, Rocky’s manager (Everett Sloane) has arranged a championship fight against Zale in Chicago. At first uncomfortable with fighting outside of New York, he knows he will be booed, Rocky finds the courage, with the help of his wife, to take on Zale and win in Chicago. To learn how to box, Newman worked out at the famed Stillman’s Gym in New York where Rocky trained. 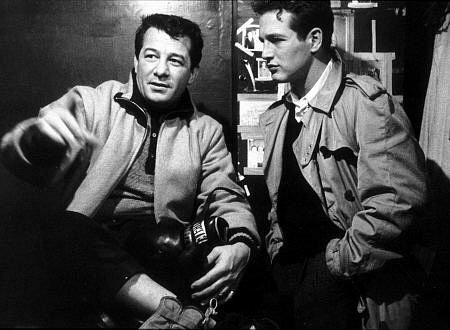 Newman apparently became a fairly decent boxer and sparred with the real Tony Zale at one point. Author Shawn Levy states that Newman became a little cocky and began to hit Zale a little harder than needed, at least Zale thought so and slugged Newman just to let him know who was in charge. Zale was going to play himself in the movie but after hitting Newman, he lost that opportunity and Court Shepard was hired. The scenes of Rocky’s early youth also give us a preview of two sixties superstars together for the first time on film. Newman and a then unknown Steve McQueen have a few scenes together. We first see McQueen in a pool hall shooting pool with his back to the camera. When Rocky tugs at his pool stick, he quickly swings around, a switchblade swiftly popping open in his hand. The quick editing and the medium shot of McQueen as he turns to face the camera make for a magnificent introduction to one of the great future superstars of the sixties. As Fidel, one of Rocky’s gang members, this was only McQueen’s second appearance in a film. Also in the gang is Sal Mineo fresh from films like “Crime in the Streets” and “Rebel without a Cause.” Other future well-known actors making their screen debuts include, Robert Loggia (Frankie Peppo), Dean Jones, Joseph Campanella and Angela Cartwright. Harold J. Stone plays Rocky’s alcoholic father, a boxer, who stopped his own career killing his dream of a being a champ with his marriage to his wife played by Eileen Heckart, who despite being only six years older that Newman portrays convincingly his mother. 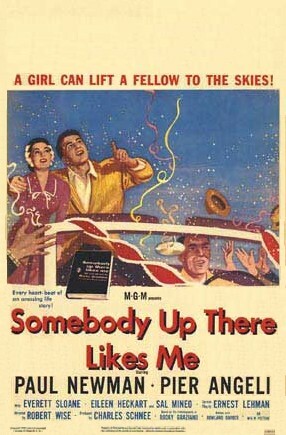 If there is one thing detrimental to the picture it is the over blown sappy title song sung by Perry Como. The hot air blows and you just cannot wait for it to end. The song just runs in an opposite direction to the rest of the film. The film was greeted with good reviews, praised for it realistic New York scenes. 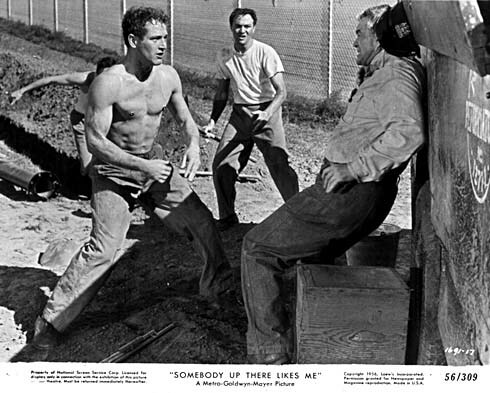 Newman was still being accused of imitating Brando with his method style acting. Still, the film recouped Newman’s good graces in the film community after the debacle of “The Silver Chalice.” The film won deservingly two Oscars, one for best Art Direction/Set Direction/Black and White and for Best Cinematography (Joseph Ruttenberg). It was also nominated for Best Editing (Albert Akst). The Kefauver Senate Committee on Organized Crime revealed to many Americans, via televised hearings, just how infiltrated organized crime was in their communities. While the hearings are noted for investigating and identifying many top Mafia bosses of the day, connecting mob operations from New York to Chicago to Miami, it also focused on how small town America, seemingly unaffected by big city crime was really not. Kefauver however was accused by political enemies, of caring more about being in the limelight and making a name for himself than anything else. Whatever the political motivation, the hearings for many Americans was the first time they became aware of organized crime and how even if you lived in small town America you were affected. Hollywood, always on the look out for a new angle began cashing in. The 1950’s were filled with films about The Organization. Early fifties film like “The Enforcer”, “711 Ocean Drive”, and “The Racket” focused on the rise on a national crime syndicate infiltrating local governments and setting up legal enterprises to hide their illegal activities. Inspired by the true life story of Time magazine crime reporter Alvin Josephy Jr. and based on his own short story, the film, told in flashback, tells the story of Jim Austin (John Forsythe) who along with a former war time buddy run the Kennington Times, a small town newspaper in an outwardly clean typical American community. Life changes when Clyde Nelson a local private investigator handling a simple divorce case comes across a big time gambling operation that connects the mob, to the local police and politicians. He informs Austin who finds his claims exaggerated until Nelson is soon killed in what is supposedly a hit and run accident. This convinces Austin there was truth in what the now dead investigator said. As Austin investigates, he finds himself and his wife being harassed and warned not to get involved, to leave it alone. His newspaper is threatened with loss of ads causing a riff between Austin and his partner. Gathering more and more evidence, he remains powerless to do anything with it, since the town’s leaders are controlled by the crime syndicate. When Austin reads about a Senate Crime investigating committee currently at the State Capitol he and his wife jump into their car and head off the City Capitol followed by two thugs out to kill them before they arrive. The films ending is unusual in that no one is brought to justice and the outcome of Austin’s testimony to the Senate committee is not known though you are left with the impression justice is being served. The movie going public is directly warned on the evils of gambling when Senator Estes Kefauver himself, directly addresses the audience on the evils of gambling and the syndicate. The cast is headed by a young, relatively unknown John Forsythe as Jim Austin with Joan Camden as his wife Marge. Ray Teal play the Chief and a very young Martin Milner is a boy photographer who is beaten up when he takes some photos he should not have taken. The screenplay was written by Alvin Josephy Jr., Director Robert Wise, whose career has sometimes been slammed due some of his later over blown work in “epic” messes like “The Hindenberg”, “Audrey Rose”, and “Star” has only in recent years been reevaluated and recognized for the amazing career he has had. 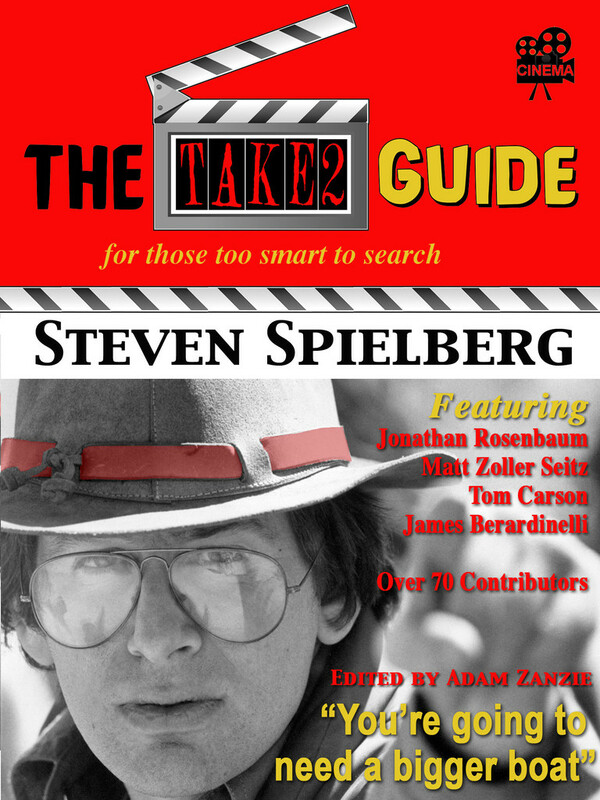 A versatile director who has created some fine films in a variety of genres like “Blood on the Moon”, “Born to Kill”, “The Set Up”, “Somebody Up There Likes Me”, “The Day the Earth Stood Still” and “The Haunting.” and “The Body Snatcher.” Wise, as many know, learned his trade working with two of the greats, Orson Welles and Val Lewton. 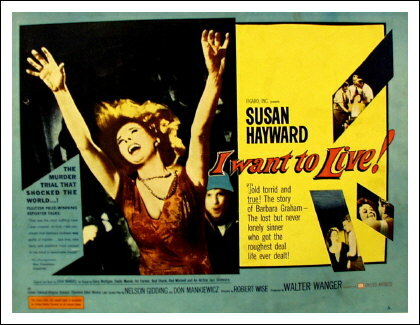 Wise may not have been an auteur but he was a great craftsman with a strong sense of subject matter and style distinguishing him from the standard studio director. “The Captive City” is a decent little “B” film with shades of noir, adequate performances, that along with Wise’s editing, showing signs of what he learned from his mentors, will keep you interested for its one and a half hour running time. The ending with Estes Kefauver is naive, hackneyed and dated from today’s perspective falling flat but up until that point, this minor work is worth a ride.